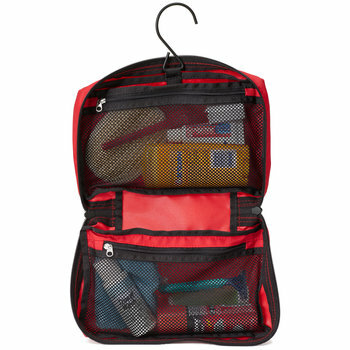 Classic Flexibility: Rick Steves' personal favorite, our no-frills Classic Toiletries Kit zips open flat to reveal a pair of generous, zippered mesh pockets — giving you more flexibility to pack those oddly shaped and sized personal items you won't travel without. Easy Hanging: Odds are, the bathroom in your hotel will have a freestanding sink — and no counter space. That's why we give every T-Kit a big, strong hook for hanging anywhere. 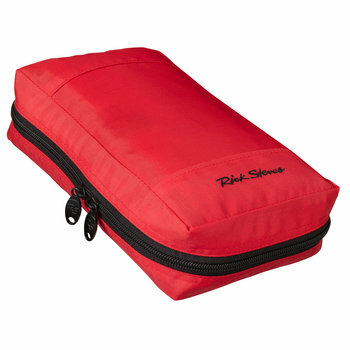 Unforgettable: Our Classic Toiletries Kit comes in one color — hard-to-leave-behind red! Dimensions: 9" x 2 ½" x 6"